Market regulator SEBI has paved the way for the IPO of footwear company SSIPL Retail. The regulator issued its final observation on the draft offer on 25 May, making it the 14th approval this year. The final observation amounts to a green signal by the regulator. 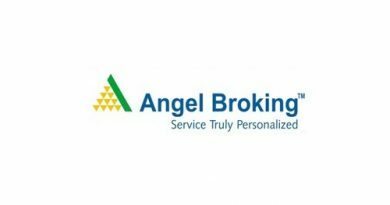 The company had filed its draft red herring prospectus (DRHP) with SEBI through its lead merchant banker Axis Capital in March this year. According to the DRHP, the company plans to issue a total of over 29.88 lakh equity shares of the company. The offer would comprise of a fresh issue of up to 10 lakh equity shares, while existing shareholders Tano Mauritius India FVCI and Rajesh Sahgal would offer over 15.88 lakh shares and 4 lakh shares, respectively. The proceeds will be used towards opening of 30 exclusive brand outlets (EBOs) for Nike. The company also plans to invest in its subsidiary SSIPL Lifestyle which will facilitate an expansion of its retail network. In addition, SSIPL Retail plans to invest in expansion and modernization of its existing manufacturing facilities. Oman India Joint Investment Fund and Tano Mauritius India FVCI hold nearly 16.6% and 15.9% stake in the company respectively. Out of the two, the latter plans to sell its entire shareholding of 15.88 lakh shares while Oman India Joint Investment Fund plans will not be participating in the offer. Another investor Rajesh Sahgal will be selling his full holding of 4 lakh shares. SSIPL Retail is a retailer of international brands in the sportswear category in India. The company is primarily engaged in the retail, marketing and distribution of sports and lifestyle products including footwear, apparel, accessories and equipment. As on December 2014, it had an extensive network of 440 stores, spread across 92 cities. This network includes EBOs for various international brands like Nike, Levi’s, Lotto, United Colors of Benetton, Clarks, and Mmojah.